You may run across two "sizes" of MSDS Forms in Canada. A more common one is the 9 Section Form. There is also a newer 16 Section Form. This would also include field worksites where the MSDS information may be in a pickup truck that is NOT LOCKED. 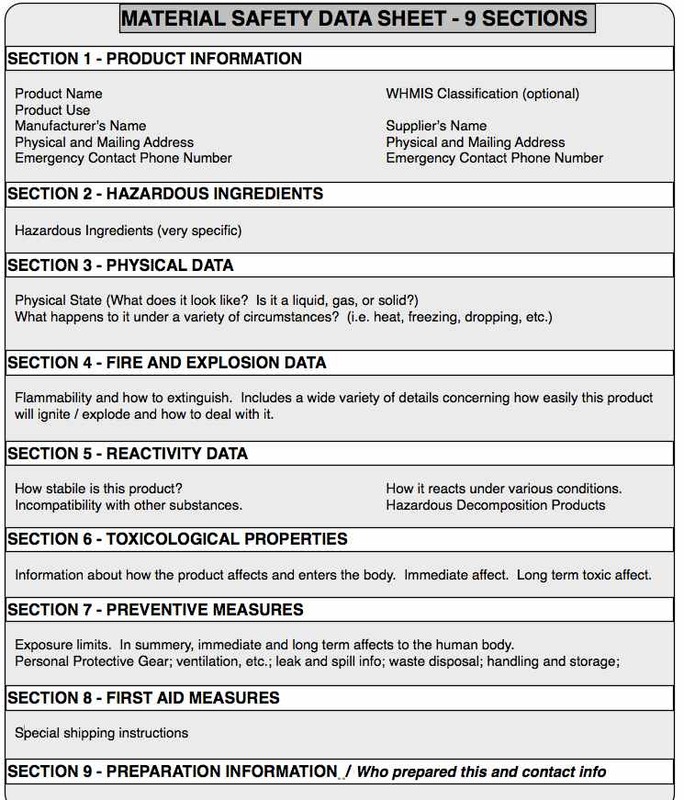 MSDS INFORMATION may be in any language and ALL workers must be able to understand them. 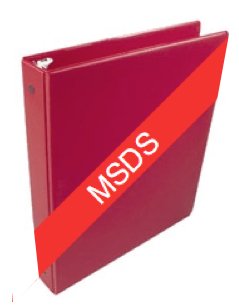 MSDS INFORMATION may be on a computer as long as ALL workers know how to access this information on the computer. The downside to a computerized MSDS system is that an emergency incident may cause a power outage at the critical time when the MSDS information is needed. A MATERIAL SAFETY DATA SHEET (MSDS) is only valid for a period of three years. There should be a designated company employee assigned to maintaining the complete WHMIS program at the workplace.